Norwegian Airlines is grabbing lots of attention as the newest major low-cost carrier flying between the United States and Europe. Their growth has been rapid and they are now the 3rd largest low-cost airline in the popular transatlantic marketplace. Also known as Norwegian Air Shuttle, the airline has just announced new direct flights between Charles de Gaulle Airport in Paris and New York, Los Angeles, and Fort Lauderdale all beginning this spring. Fares in low season start as low as $175 one way including tax! It’s time to take a closer look at this up and coming airline. 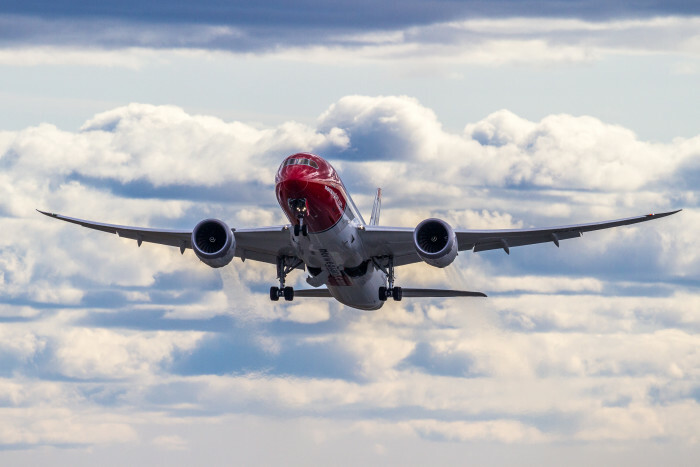 Norwegian Air Shuttle now operates 38 routes to the USA and is planning an expansion of its direct routes with a new fleet of Boeing Dreamliner aircraft. Norwegian plans to become “the largest transatlantic airline in terms of routes” in the next few years. It is launching additional long-haul service from Boston-London on March 27, Boston-Oslo on April 2, Oakland/San Francisco-London on May 13 and Boston-Copenhagen on May 17th. Boston is playing a significant role in the airlines expansion and may become their US base. So take advantage of falling fuel prices that are moderating airfares to Europe and maybe you’ll find yourself tip-toeing though the tulip fields this spring!